We provide the experience to see your custom home or remodel into reality. "We Build the Best Quality Homes!" Chad Boykin, a Tallahassee native with over fifteen years of experience, founded Boykin Builders in 2008. 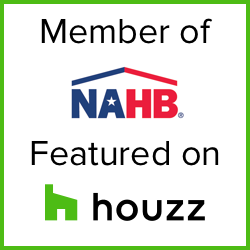 After being President of one of the largest home builders in the area; Chad saw a need in Tallahassee and the surrounding Big Bend Area for a local builder that provides luxury custom design and quality at a competitive price. We call our style" Affordable Luxury". When you walk into one of our homes, you immediately feel the Boykin Builders Custom Home difference. Our floorplans stand out from all the rest by providing unique design and custom architecture. We provide a full design/build process with really flexible design options. It is an easy and fast process. Call us to visit one of our recently finished custom homes or schedule a consultation so we may share our design/build process. Relationship: He assisted my customers. Chad has won numerous parade awards!